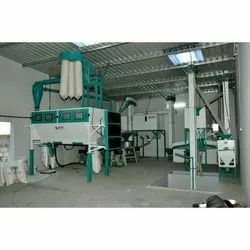 Pioneers in the industry, we offer atta chakki plant, mini atta chakki plant, commercial atta chakki plant, flour mill machine, industrial flour mill machine and automatic atta chakki plant from India. To meet the variegated needs of our esteemed patrons, we are broadly engaged in offering an exquisite spectrum of Atta Chakki Plant that ensures easy and glitches free operation. Our offered chakki atta plant is developed using supreme quality material under the direction of our professionals. 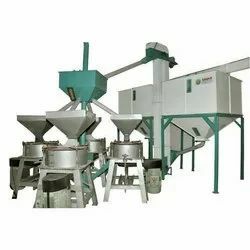 This chakki atta plant is a suitable option for flour mills and wheat processing owners. Offered chakki atta plant is available in numerous specifications as per the need of customers. We are broadly engaged in offering an exquisite spectrum of Mini Atta Chakki Plant. We are broadly engaged in offering an exquisite spectrum of Commercial Atta Chakki Plant. 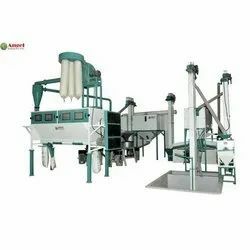 We are broadly engaged in offering an exquisite spectrum of Flour Mill Machine. We have firmly positioned ourselves as a leading manufacturer of Industrial Flour Mill Machine. We are engaged in offering Automatic Atta Chakki Plant. We are engaged in offering Whole Wheat Atta Chakki Plant.